Using a Mouse is a task that I have definitely been taking for granted. Prosthetic limbs are generally highly sophisticated, expensive and require a team of professionals to fit them. The complexity and cost involved in supplying prosthetics leave millions without access to the benefits they provide. The work currently performed with existing products allow for simple handling of items and a few specialised tool attachments. One area that has yet to be addressed within this area is modern work on computers. 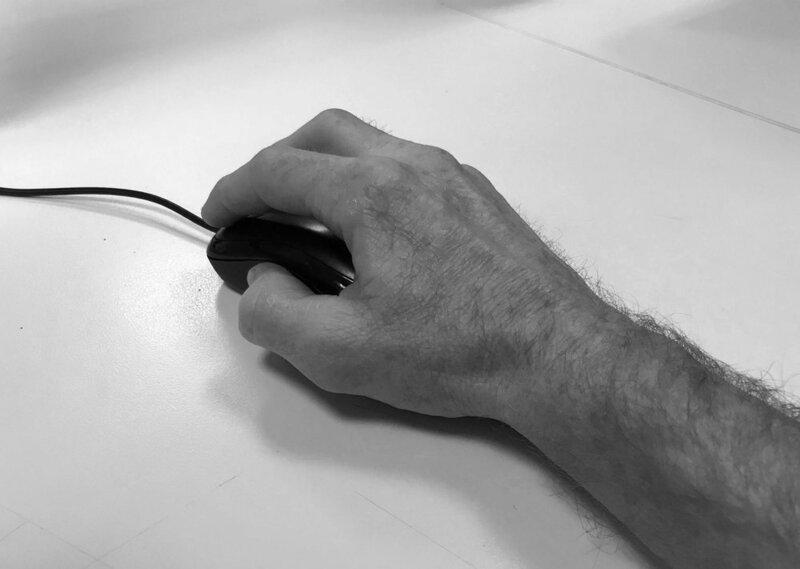 An average computer mouse is an important tool in modern life, yet is rarely compatible with current prosthetic hands. 3D printing has paved the way for low cost and customised manufacturing of parts in many industries and the prosthetics industry is no different. This technology is allowing prosthetics to be accessible to the broader community. Unfortunately, not all communities have access to 3D printers, nor the skills to use them. Based on these factors, online communities have been established to facilitate a connection between the people with the correct skills, time and/or tools to collaborate with and assist those in need. For these reasons, I began researching and prototyping prosthetic hands and devices that could help with issues faced by people with partial hand amputation. My intentions were to create a low-cost prosthesis that would allow the user to control a computer mouse. As I delved deeper into this project my focus changed towards helping users access more than the online communities but accessing the skills to operate the tools they need to create their own devices. Though my design intent would change I began my exploration with a rough idea in mind.